The first of its kind in Australia. Join us for a two day festival and celebration of Italian sparkling wine. 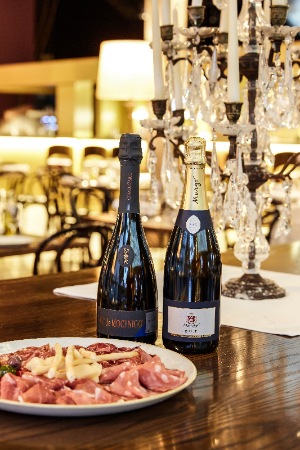 100+ sparkling wines from every corner of Italy are yours for the tasting. A journey through some of Italy's most famous sparkling wine growing regions from the North to the South. Rediscover Prosecco or Lambrusco then discover something new from the islands of Sicily or Sardinia. Get the inside scoop on a particular sparkling region...? plus we've flown in some regional food specialties like white truffles from Piedmont and the world's largest Provolone from Emilia-Romagna to accompany the bubbles. The dinner, a regional journey through the five main sparkling wine producing regions will feature dishes designed to match eleven sparkling wines, all accompanied by nonstop Italian music from opera to mandolin music of the Venetian gondoliers and beyond. This is an event weekend not to be missed!